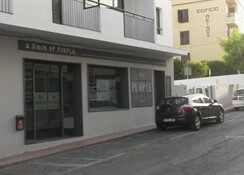 Located in the centre of San Antonio in Ibiza, The Purple Hotel by Ibiza Feeling group is a stylish, adult-only property, which offers the perfect mix of relaxation, revelry and recreation. 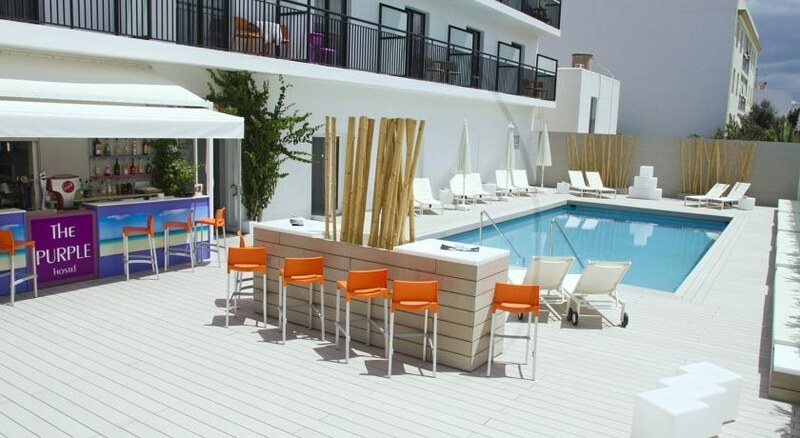 Just a few minutes’ walking distance from the seafront promenade and the buzzing Sunset Strip lined with bars and nightclubs, this gay-friendly hotel is a heaven for adults and LGBT travellers looking for a fun-filled holiday in the party capital of Ibiza. Well-appointed uber-chic rooms and suites, a contemporary restaurant that features international cuisines and drinks, a relaxing pool to take a dip, and a sun terrace to work on your tan – The Purple Hotel excels in providing you the best of amenities. Being close to the seafront as well as the city centre means you can make a splash in the sea or hit the streets in no time! For those in the mood to party, the hotel offers ticketing service to all the major clubs in Ibiza, making sure your holiday is as hassle-free as possible. 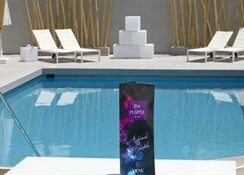 The hotel is located in the centre of San Antonio resort in Ibiza. It is within walking distance from the harbour and the seafront promenade. The bustling West End, Café del Mar and Sunset Strip with neon-lit bars, nightclubs, shops and restaurants are in close proximity to the hotel. The San Antonio beach is around 1 km away while the Ibiza Airport is 20 km from the hotel. 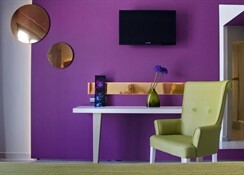 As the name suggests, The Purple Hotel features vibrant purple hues, from its room decor to furnishings. The stylishly designed rooms and suites come in 5 categories: Essential, City, Pool View, Premium Double and Junior Suite. All the rooms come with a selection of amenities including air conditioner, free Wi-Fi, safe (additional charge), TV with national and international channels, blackout curtains, en-suite bathroom with shower, hairdryer and bath amenities. While the City rooms feature private terrace with views of the city, the Pool-View rooms and Junior Suites overlook the glittering pool. The suites offer additional amenities such as an all-inclusive mini bar, rainfall shower and daily breakfast. A Pinch of Purple, the in-house restaurant at The Purple Hotel serves cuisines from all corners of the world, meticulously prepared by Chef Gianluca. The restaurant offers everything from morning coffee and wholesome breakfast to sumptuous lunch and dinner. 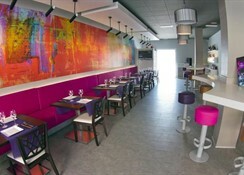 The LGBT-friendly atmosphere all across the hotel and restaurant makes your dining an intimate affair. You can also dine by the poolside and sip your favourite cocktails. The hotel’s drinks menu covers a wide range of alcoholic and non-alcoholic drinks. Ibiza is a party-goer’s paradise. The hotel makes sure you get your share of party fun. 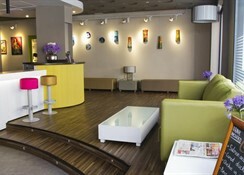 The hotel reception provides tickets to all the hip clubs of Ibiza. Away from the party vibe, you can also rent a car or a motorbike from the hotel and explore the island on your own. If you want to stay indoors, the swimming pool is the perfect place to take a dip. 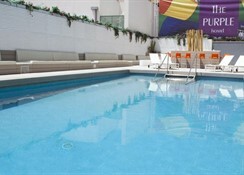 Otherwise, you can enjoy snacks and drinks on the sun terrace by the poolside with your partner. The San Antonio beach is within walking distance from the hotel, so you make a splash in the Mediterranean whenever you want. The hotel is also close to a number of shops and nightclubs, so your entertainment options are unlimited. Purple by feeling 5 stars!! Me and my partner stay at the hotel in May 2018 for five nights..The hotel was was very clean the staff were so friendly and helpful, We would recommend to anyone staying in Ibiza.Central to most of the bars and a short walk to the beach. We will be booking for May 2019 thank you so much Roger & Sonia. Great friendly staff and good location. Clean rooms, good food and facilities. Would definitely stay there again. Stayed here last August with a friend. Would definitely stop again. Such a lovely modern hotel with the addition of friendly staff that were always willing to go out of their way for you.